From military classics to popular show tunes. You’ll hear everything from Mozart to John Williams and even the Monarchy of Music; Queen. Soloists will include Murray Mansfield QSM on bagpipes, the thrilling Drum Line and astounding vocalist Barbara Graham. The Royal New Zealand Air Force Band recently celebrated its 80th anniversary, and is often heard welcoming dignitaries at Government House, or providing music for commemorations at Pukeahu National War Memorial Park. 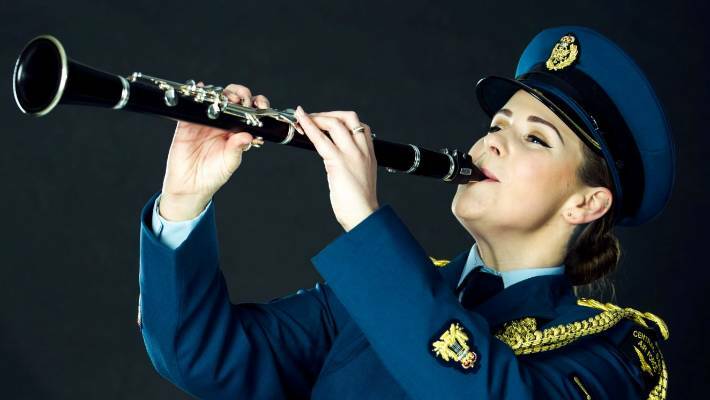 It performed at the sold-out 2016 Royal Edinburgh Military Tattoo, and most recently to a near capacity The Air Force in Concert at the Michael Fowler Centre in Wellington. Don’t miss the opportunity to witness the excitement of a full-sized symphonic band in concert!